Israel has launched a ground offensive in Gaza with residents reporting heavy shelling in the area. Palestinian health officials say 27 Palestinians, including a baby, two children and a 70-year-old woman, have been killed since Israel sent ground forces into the densely-populated strip of 1.8 million Palestinians. Israeli strikes in central Gaza city are "intensifying", according to reports. Bombardments in central gaza city intensifying. Israeli rockets have been fired into Gaza as the Israeli military launched a ground offensive in the region. Gaza residents reported heavy shelling in areas, while explosions lit the sky as aerial strikes continued. Palestinian officials say 235 Palestinians have been killed since Israeli forces began their operation 10 days ago. For a time today we had a truce and for a time today it seemed there was a a real prospect for a lasting ceasefire. An Israeli official even came back from talks in Cairo and said a deal had been done. Whether that was premature or deliberate misinformation we cannot tell. But tonight, far from peace we have the ugly reality of war. For the first time since 2009, Israeli troops have entered Gaza. Gaza City is tonight illuminated by military flares, even from a distance there is a low rumble of continous explosions. After ten days of airstrikes, this is the beginning of the land war. Israel confirmed it is intensifying its operations on all fronts. This conflict has already cost more than 200 Palestinian lives. Many more are now at risk. And for the first time Israeli soldiers will be in the direct line of fire. The Israel Defence Force (IDF) has said it was preparing to send 18,000 reservists into Gaza as the country instructed its military to begin a ground invasion of the area. 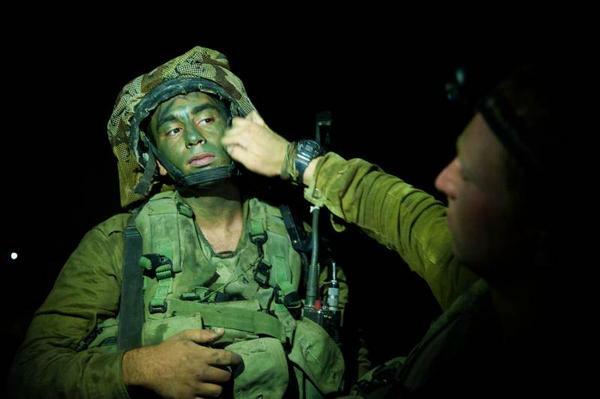 Following the approval of the government of Israel, the IDF will call up an additional 18,000 reservists. It is quite a tense and a fearful atmosphere here in Gaza right now. the nightly bombardment that we have grown used to over the ten day since we arrived here, got significantly more intense this evening. On our side of it, the Israeli Navy began to pound targets to the north and south of us. We have been staying at a hotel on the coast, in the west of Gaza City. We received a warning from the Israeli armed forces to leave the coastline so we have come inland now. We have since got information locally that the ground operation has indeed begun. We heard jets flying low overhead since we arrived, and now we await like the nearly two million inhabitants of Gaza with some apprehension about what the rest of the night holds. But there is of course the clear expectation here that the violence and the bloodshed is going to worsen. The UN Chief Ban Ki-Moon says he regrets the escalation in Israel-Palestinian hostilities, and has urged Israel to do more to stop civilian deaths. Sirens and loud thuds and flashes of orange light lit the sky in the eastern Gaza strip as Israeli gunboats fired shells and tracer fire, while artillery and helicopters fired over the border, witnesses on both sides of the border said. Gaza residents and medical officials reported heavy shelling along the eastern borders from the southern town of Rafah up to the north of the enclave. Shells landed by the al-Wafa rehabilitation hospital east of Shejaia, an eastern suburb of Gaza. Basman Alashi, head of the hospital, said: "We were not able to evacuate all the patients, the staff can barely evacuate themselves at this point It's a desperate situation. "The hospital has been hit many times." A Hamas spokesman has said that Israel's ground invasion of Gaza is "foolish" and will have "dreadful consequences". Hamas spokesman Sami Abu Zuhri said: "It does not scare the Hamas leaders or the Palestinian people. "We warn (Israeli Prime Minister Benjamin) Netanyahu of the dreadful consequences of such a foolish act." One Israeli civilian has been killed by fire from Gaza. A statement from the Israeli military said the operation will include "infantry, armoured corps, engineer corps, artillery and intelligence combined with aerial and naval support." Palestinian health officials say 233 Palestinians have been killed in Israeli air and naval strikes, while Israeli military says Gaza militants have fired more than 1,300 rockets into Israel. Before dawn about a dozen Palestinian fighters tunnelled under the border, emerging near an Israeli community. At least one was killed when Israeli aircraft bombed the group, the military said. It's been an emotionally exhausting day in Israel and Gaza as hopes for peace were raised then dashed then raised then dashed again. In the court of international opinion, this is how Israel wins a battle and still manages to lose the war.